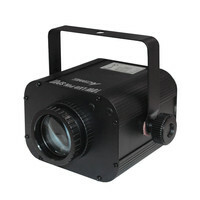 The Acme Radiant is a variation of the classic Derby lighting effect but has been updated with a 10W Tri colour LED light source and a total of 40 lenses. The 10W LED offers an output that out performs traditional 250W effects and has the colours you would usually find in a fixture fitted with a discharge lamp. Further technological enhancements such as super-smooth micro stepping motors ensure a fluid and exciting display as a magnitude of coloured beams slice through the air sweep your dance floor and strobe in nightclub quality style. Unlike traditional Derby effects the Radiant has no duty cycle generates very little heat and doesnt require regular lamp replacement. 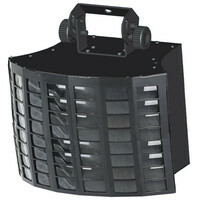 A 4 button LED display on the rear allows users to select from DMX Stand alone Sound active and Master/Slave. 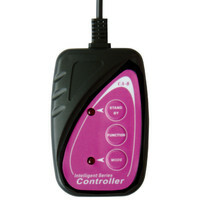 An optional CA-8 controller can be connected for finger tip control over the units many functions. 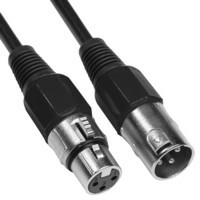 Acme DMX Termination Plug pack of 2. The Acme Super Splash is a lightweight and powerful LED light effect which produces multiple coloured beams from a single compact light. 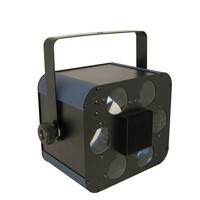 Loaded with 9 RGBA LEDs with a rating of 1 watt per LED the Super Splash delivers bright and intense LED light whilst the sound active operation mode allows an extremely simple set up. The Acme Super Splash also includes a durable mounting bracket for multiple rigging applications. The Acme MightyLED Moonflower is an RGBA LED lighting effect which produces vibrant moonflower style lighting due to the 4 wide angle heads which house 36 powerful RGBA LEDs. 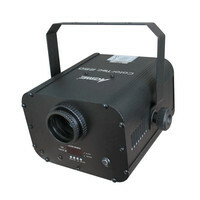 Operating in sound active master/slave and DMX modes the MightyLED is a versatile light effect which also features a 4 button menu with LED display variable strobe effect and 5 degree beam angle. 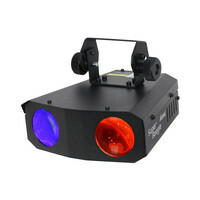 The Acme Quad Colour LED Pinspot is a powerful LED spotlight which produces sharp beams of colour due to the 10 watt CREE quad colour LED whilst the on board DMX produces a range of colours. 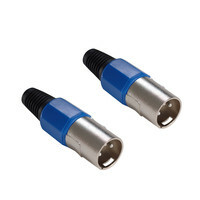 With the ability to function as an adjustable colour strobe and featuring three operation modes and a beam angle of 9 degrees the Quad Colour Pinspot can be used in a range of environments and applications. 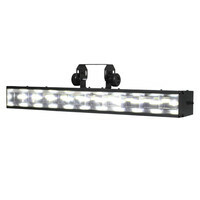 The Acme Super Boogie is a dual lends LED light which boasts 18 powerful RGBA LEDs to produce bright moonflower patterns perfect for clubs DJs and music venues. With a beam angle of 5 degrees each beam colour points at a different angle producing a room filling light show. 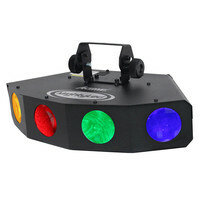 Operating in sound active master and slave modes the Super Boogie is a must have for every dance floor. 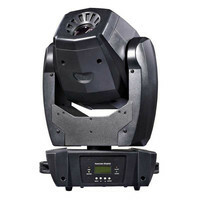 The Super Boogie also incorporates a variable strobe function XLR and IEC connectivity 4 button menu with LCD screen and robust mounting bracket. The Acme Colortec 250 Colour Changer incorporates a powerful 60 watt LED engine with 8 dichroic colours plus white to produce bright colour changing LED light fixture perfect for spotlighting. With 9 and 14 degree beam angles fan cooling 4 button control with LED display sound active master/slave and DMX operation modes the Colortec 250 is a premium LED light fixture ideal for music venues and clubs. A compact handheld simple controller thats great for small light shows and can be used with most Acme fixtures which offer external control. 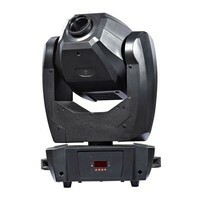 The Acme iMove 50S is a compact LED powered DMX moving head thats power output is only 50 watts but is brighter than a standard 150 watt discharge lamp thanks to its use of cutting edge LED fixtures.This item is an ex showroom display model. There are light scuffs and signs of use around the casing. The original boxing and manual are not included.Otherwise the unit operates as new. This is a great opportunity to buy a fully functioning product at a discounted price supplied with a one year warranty. The Acme iMove 50SR benefits from a 50 watt LED source which gives a light output similar to that of a 150 watt discharge lamp but with major benefits with regard to energy saving lamp life and weight. A high quality optical system smooth stepper motors and rich vibrant colours result in stunning light shows to fill any venue. 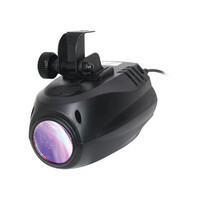 In addition two gobo wheels and 3 way rotating prism are features very rarely found on a fixture of this size and price. 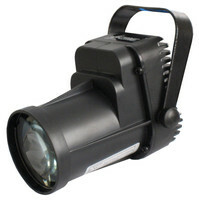 The Acme ST 50 LED Strobstrip Strobe is a powerful LED strobe light which incorporates 10 x 5 watt white LEDs and a range of operation modes such as sound active slave/master and DMX to deliver exciting light shows. With a built in LCD display and 4 button control the Acme ST 50 is extremely easy to use and can be mounted with the robust bracket for mobile and fixed lighting installations. 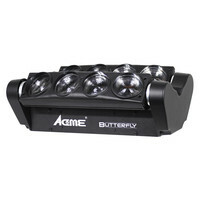 The Acme Butterfly LED Bar Light is a multi-beam light which features two bars of four LEDs at a rating of 8 watts per bulb to deliver a bright and powerful light show. With a four button menu and LCD screen you can easily control the Acme Butterfly in master/slave modes as well as sound active and DMX modes. The Acme Butterfly also incorporates a 145 degree beam angle 0 to 100 switchable dimming percentage and includes a quick release omega clamp.